Data breaches and violations of our privacy seem to be a daily occurrence. From Edward Snowden’s bombshell that the American government tracks its citizens to Cambridge Analytica collecting Facebook data from millions of people to allegedly influence the 2016 US presidential election, it’s clear that a lot of our personal information is out there. And it’s not always being used in the most transparent, ethical, or even legal ways. It seems as if every aspect of our private lives can be dissected and scrutinized by corporate and government interests—or by other parties that mean to do us harm. It’s a difficult topic, but awareness is the first step in protecting yourself. So with that in mind, let’s take a closer look at some of the ways others access our personal data and examine ways in which you can protect your privacy. The most obvious issue that comes to mind when thinking about privacy violations is hacking and other criminal activity. There are people out there who will stop at nothing to try to grab your information and break into your private accounts. Here are a few ways they do it. Data breaches. The Equifax breach that may have leaked millions of people’s data, including Social Security numbers, was just one of many examples where hackers gained access to a vast database of information that could be used for identity theft. These things happen more often than most of us realize, so it’s important to remain vigilant and regularly update your passwords. Webcams. Do you cover the webcam on your computer when you’re not using it? Maybe you should. The camera on your laptop or computer monitor can be hacked to give strangers access to what’s going on inside your house. Web browsing and email. When you’re on the Internet, it’s way too easy for other people to get information about you. Beyond social media and shopping behavior, just surfing the web and checking your email can get you into trouble. Innocent-looking emails might send you to fraudulent banking or other websites that try to capture your login details, a process called phishing. Other websites might track your online behavior by placing nefarious cookies in your browser that send your data places you might not want it to be. Social Engineering. Often it’s just small bits of data that hackers are after. Your date of birth, along with your email or mailing address (perhaps listed on your website or Whois information on your domain) could provide a key that a criminal can use to reset your account passwords or gain access to important accounts. For example, back in 2012, hackers compromised Wired staff writer Mat Honan’s digital accounts and deleted all of his computer files just by having critical bits of information about him. These are just a few ways hackers can disrupt your life. Security experts warn that with more of us connecting additional devices to the Internet (things like our thermostats, digital assistants like the Amazon Echo or Google Home, and home security systems) that’s just exposing even more of our lives to potential hacking. DNA records. In the past few years, companies like 23andMe and Ancestry.com have started offering genetic mapping and profiling services: you simply mail in a cheek swab and, in return, the company sends you the results and stores your DNA records in their databases. But have you ever considered how this data might be used in the future? As we recently saw with the apprehension of the Golden State Killer in California using a genetic database at the genealogy service Ysearch.org, you never know how your DNA records might be used. Today it might be solving a murder, but in the future, who knows? Your genetic profile could be used to determine health coverage or other purposes you didn’t expect. Ride sharing. Go ahead and call a Lyft or Uber. You’ll give that company data on where you live, who else lives there, and your entertainment habits. Uber even got caught tracking their customersafter they dropped them off. Pokémon Go and other mobile games. It’s just a game, right? By using GPS data to provide location-based entertainment, this addictive mobile app also keeps a close eye on where you–or your kids–are throughout the day. Amazon and other retail apps. If you’re like many people, you turn to Amazon for much of your online purchases and household services. You might use the Starbucks or Target apps on your phone to order in advance or get discounts. And each time you buy online from major retailers or use their apps, you’re giving them rich data for future use. Cell phones. This may be a no-brainer, but every mobile device has a GPS chip that locates the phone even when it’s turned off. This allows emergency services to locate you when you need help—but the question is, who else has access to that data? Video surveillance/closed-circuit television (CCTV). From ATMs to ‘eye in the sky’ cameras at department stores, cameras are always watching you when you’re out on public streets. Red light cameras and cameras on toll roads snap your car’s license plate to send you violation notices or fee invoices. Any time you leave your home in most urban centers in the US and Europe (and in major cities across the world), someone knows what you’re doing. This is a long list of ways companies can compromise your privacy, all in the name of day-to-day business. When you think about it, it’s almost enough to make you want to throw your hands up and surrender, right? Don’t despair! While some things are out of your control, there are still things you can do to protect your information. Let’s face it: if you’re online, a lot of your information is out there. You might not care if companies know your purchase history or where you go on the weekends. And you might not worry about the government tracking you because you think you have nothing to hide. What’s more, there are benefits to sharing our data to take advantage of everything our modern society enables us to do. It’s nice to be able to use Google Maps to find a new restaurant or chat with your friends on Facebook. So unless you pursue an off-the-grid lifestyle out in the country, modern convenience requires surrendering a certain amount of your privacy. That being said, there are some ways you can minimize the impact of potential privacy violations and prevent people from gaining access to information that can compromise your safety and well-being. Provide the bare minimum. Many times companies will ask for personal information that they don’t need. Challenge anyone who asks for your Social Security number or email address. Don’t put your address on your resume or job search websites, and if you have a home business, consider getting a P. O. Box to avoid giving out your personal address. Protect your email address. Everyone wants your email, which can be flattering depending on who’s asking for it. But it can also be a ticket to spam as well as a possible gateway for phishing or hackers to access your account. If you find yourself giving out your email often, consider creating a disposable email address using a free Gmail or Yahoo account. Then, whenever you enter a sweepstakes or join a mailing list, enter that address rather than your personal one. You can still receive messages at that address if you want by forwarding it to your real address and filtering it into a separate folder. Avoid giving your information to unknown parties. Don’t play games on Facebook that require you to connect your profile. Use privacy settings to lock down your social media profiles so only your friends can see what you’re posting. Cover your webcam. You can use a post-it note, masking tape, or removable sticker. Also, consider disabling the front-facing camera on your mobile devices. For more ideas, check out this Mashable article. Regularly check your credit reports. In the US, you can order a report for free once a year through each credit reporting agency or by going to AnnualCreditReport.com. Be smart with passwords. Don’t use the same password for different websites, and change your most important passwords regularly. If a site gets hacked, don’t hand the hacker the keys to all of your other accounts. And never give out a password to anyone over the phone or email. Customer support professionals have secure ways of accessing your account (if necessary) without having to ask for your password. Beware of public Wi-Fi. As we described in a previous article, it’s far too easy for hackers to gain access to your login data. If you frequently use the Wi-Fi in coffee shops or restaurants, consider investing in an inexpensive VPN solution. Enable two-factor authentication (2FA) everywhere. Many major websites—including blogging platforms, banks, and even online games—offer 2FA protection, which is a second step of authentication that’s difficult for a hacker to replicate. Often, 2FA will require you to enter a code texted to your mobile device or sent via a third-party app. Use a passcode on your cell phone. Sure, it’s annoying to always have to enter your passcode, but passcode protection keeps people from gaining access to your personal data, contacts, social media accounts, and email if you get separated from your device even for a few minutes. This list is just the tip of the iceberg, but it’s a great way to get started. For an even longer list of steps you might take to protect yourself, check out the 66 privacy tips from Consumer Reports. At Namecheap, we value your privacy. We don’t sell your personal information to other companies, and here on the blog, we work to keep you aware of different ways your privacy might be violated. We also believe that we should do our part to keep your personal contact information out of the hands of hackers, spammers, and Internet marketers. That’s why we now provide WhoisGuard free for all of our eligible domains—for life! If you register your domains with us, you can rest easy knowing that you’ve taken one vital step to keeping your personal information safe. 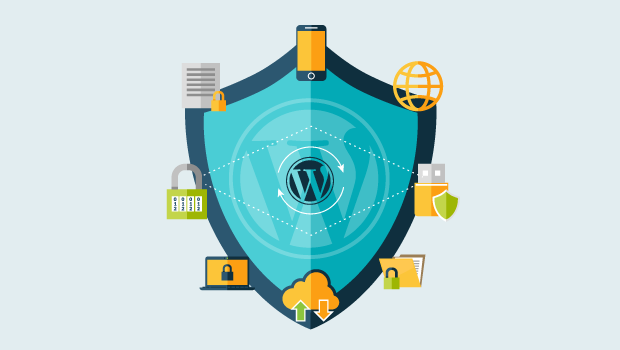 While WordPress core software is very secure, and it’s audited regularly by hundreds of developers, there is a lot that can be done to harden your WordPress website. 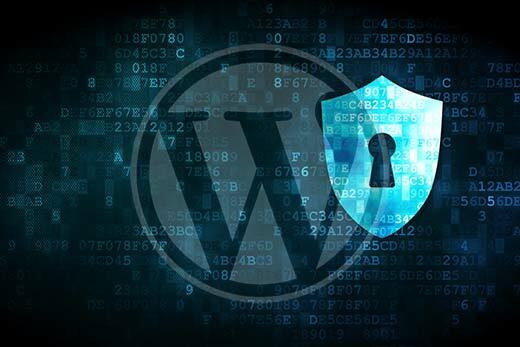 We have a number of actionable steps that you can take to improve your WordPress security. The most common WordPress hacking attempts use stolen passwords. You can make that difficult by using stronger passwords that are unique for your website. Not just for WordPress admin area, but also for FTP accounts, database, WordPress hosting account, and your professional email address. The top reason why beginners don’t like using strong passwords is because they’re hard to remember. The good thing is you don’t need to remember passwords anymore. You can use a password manager. 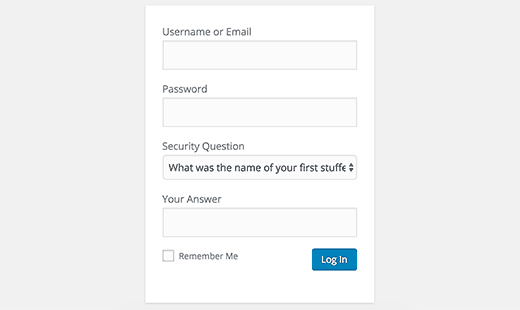 See our guide on how to manage WordPress passwords. Another way to reduce the risk is to not give any one access to your WordPress admin account unless you absolutely have to. If you have a large team or guest authors, then make sure that you understand user roles and capabilities in WordPress before you add new user and authors to your WordPress site. However, on shared hosting you share the server resources with many other customers. This opens the risk of cross-site contamination where a hacker can use a neighboring site to attack your website. We know that improving WordPress security can be a terrifying thought for beginners. Specially if you’re not techy. Guess what – you’re not alone. Thankfully this can be easily done by using plugins like VaultPress or BackupBuddy. They are both reliable and most importantly easy to use (no coding needed). 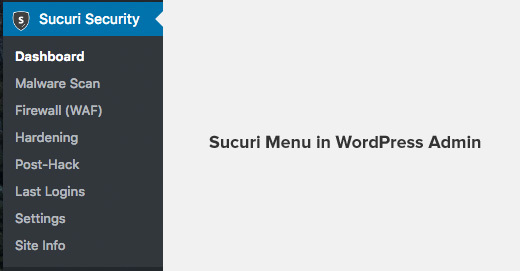 Upon activation, you need to go to the Sucuri menu in your WordPress admin. The first thing you will be asked to do is Generate a free API key. This enables audit logging, integrity checking, email alerts, and other important features. The next thing, you need to do is click on the Hardening tab from the Sucuri Menu. Go through every option and click on the “Harden” button. After the hardening part, most default settings of this plugin are good and doesn’t need changing. The only thing we recommend customizing is the Email Alerts. The easiest way to protect your website and be confident about your WordPress security is by using a web application firewall (WAF). The firewall blocks all malicious traffic before it even reaches your website. 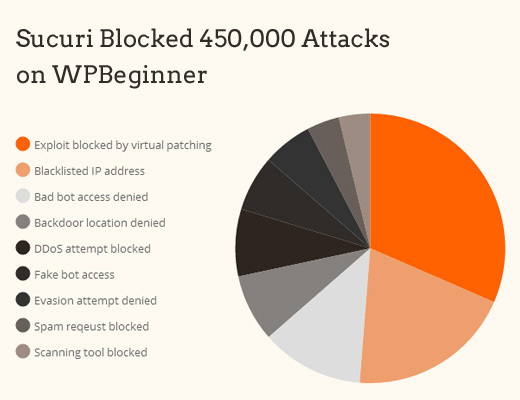 Sucuri is not the only firewall provider out there. The other popular competitor is Cloudflare. See our comparison of Sucuri vs Cloudflare (Pros and Cons). This can be easily fixed by limiting the failed login attempts a user can make. If you’re using the web application firewall mentioned earlier, then this is automatically take care of. 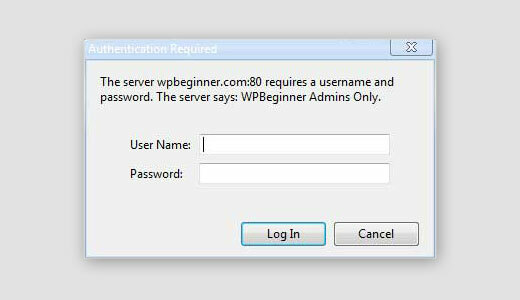 Normally, hackers can request your wp-admin folder and login page without any restriction. This allows hackers to try their hacking tricks or run DDoS attacks. You can add additional password protection on a server side which will effectively block those requests. However because of it’s powerful nature, XML-RPC can significantly amplify the brute-force attacks. This is why if you’re not using XML-RPC, we recommend that you disable it. You will need to install and activate the Idle User Logout plugin. Upon activation, visit Settings » Idle User Logout page to configure plugin settings. 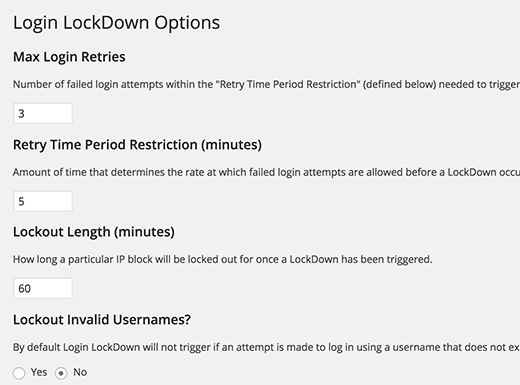 Simply set the time duration and uncheck the box next to ‘Disable in wp admin’ option for better security. Don’t forget to click on the save changes button to store your settings. For more detailed instructions, see our guide on how to automatically log out idle users in WordPress. Running a website is, in many ways, much like running a business. Behind every successful site you visit, there’s a lot of work that goes on in the background to keep things running smoothly. Without that regular maintenance, your website might not be able to achieve its full potential. The good news is that WordPress makes your life easier when it comes to website maintenance. Using plugins, for example, can help you automate or simplify many important tasks, such as creating backups, checking for broken links, and more. In this article, we’re going to talk about why website maintenance is so necessary. Then we’ll introduce you to four tasks you should carry out regularly, in order to keep everything running in top shape. Let’s pop your site’s hood open! Sometimes, you’ll find that your website isn’t working at full capacity. You can think about your site as a computer – if you set up too many unnecessary programs and fill it with junk, it won’t work as smoothly as it did out of the box. To avoid this eventuality, you’ll need to carry out routine maintenance on your website to keep it running well. This will benefit both you and your visitors. 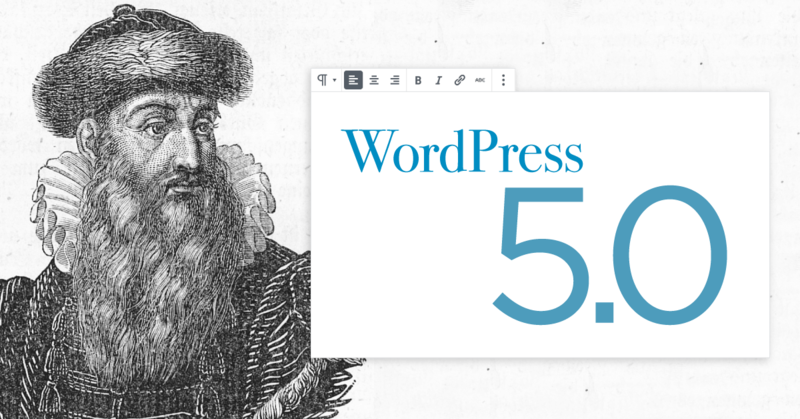 WordPress maintenance isn’t just about smooth performance either – it also improves security and user experience. Certain maintenance tasks will enable you to protect your site from attacks, while others make it more friendly to your audience. Either way, it’s important to maintain your site and ensure that it’s living up to its full potential. We’re going to be talking about the importance of performance and loading times throughout this article, since a lot of WordPress maintenance tasks are designed to keep your site running quickly. However, before we do that, let’s touch on how you can measure your site’s performance to find out if needs improvement. You’ll see a results page shortly. If you’re below the two-second mark, you’re within the ‘good enough’ range. However, we’re not big fans of good enough, and there’s a lot you can do to make your site perform even better. There are plenty of things you can do to improve your website’s performance, security, and user experience. However, these four general maintenance tasks are the most critical, if you want to keep your site free from clutter and in top shape. 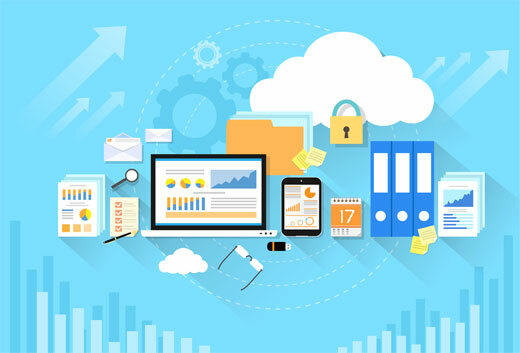 Backups are snapshots of your website at a specific moment in time, and they enable you to revert your site to a previous state if anything goes wrong. Creating regular backups is the most critical thing you can do to secure your site. They can help you fix bugs, solve security issues, reverse data losses, and much more. Most people know they should back up their data, of course, but it can be easy to put off doing so. That’s where plugins such as UpdraftPlus come in handy. On top of providing you with multiple options for storing your backups, it also enables you to schedule them so they happen automatically. A while back, we wrote a guide on how to use UpdraftPlus, and we recommend checking it out. If this tool isn’t to your liking, however, there are plenty of alternatives you can try. Regardless of which plugin you use, you should aim to create weekly backups at the very least. All the information on your WordPress website goes into your database. This means that every post, page, comment, link, and so on that you add will contribute to bloating your database over time. The more cluttered your database is, the longer it will take to find the information you (or your users) actually want. For this reason, you should clean out unnecessary data as often as possible. WordPress likes to keep discarded post drafts and trashed articles around for 30 days by default. However, it’s better to take out the trash more often than that, which means permanently deleting the content you won’t need anymore. Then select Delete Permanently, and click on Apply. Emptying your trash can make a real difference to performance, and it helps keep your website clutter-free. 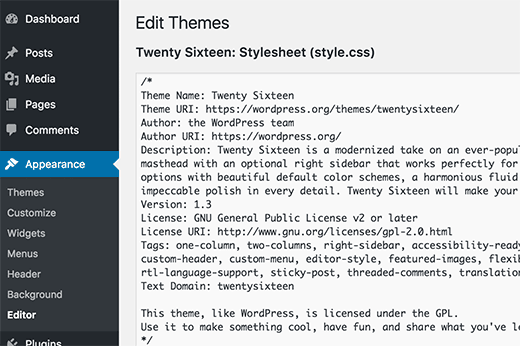 One of the best things about using WordPress is the sheer amount of fantastic plugins and themes you get access to. However, some sites contain dozens of plugins and themes, many of which aren’t actually used or are outdated. 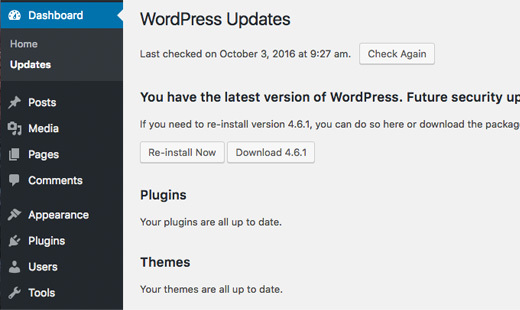 You should always make sure your plugins and themes are updated. Old versions of plugins often cease to work or cause problems, so you want to avoid using them. If you have plugins and themes that you no longer need, on the other hand, you should remove them altogether. Likewise, you can select the plugins and themes you don’t use and delete them. This will also help you avoid unnecessary security risks. Finally, some of the external links you’ve added to your content may stop working over time. The website a link points to might have gone offline, changed address, or simply deleted that particular page. Broken URLs can confuse your users, since they lead nowhere. What’s more, they can even negatively affect your search rankings. However, finding broken links manually within even the smallest of websites can be a pain. Therefore, you’ll want to use a plugin such as WP Broken Link Status Checker to speed up the process. Once the plugin is running, it will notify you when it finds broken links (either via the dashboard or email). You can then remove or replace them with new links right away. Keeping a website running smoothly isn’t as complicated as you might think. You can automate most maintenance tasks using plugins, and the rest can be carried out in a few minutes. If you take time to regularly clean out the pipes, so to speak, your website should always run at top performance. Delete your discarded drafts and trashed articles. Update your plugins and themes, and delete the ones you’re not using. Check your posts and pages for broken links. Do you have any questions about how to keep your WordPress website running smoothly? Let’s talk about them in the comments section below! When we think about Wordfence and how it improves your WordPress security posture, there are two core features we tend to focus on: the firewall, and the security scanner. As the first layer of defense, the Wordfence firewall gets the most attention because it blocks hackers from gaining access. But, the scanner plays an equally important role, alerting you to myriad of security findings that help you keep your site secure and respond quickly if you get hacked. In today’s post we’re doing a deep dive on the Wordfence security scan. We walk you through everything it does and explain why each step is important. The Wordfence security scan performs a variety of functions, but perhaps the most important is malware detection. Wordfence scan checks your site to ensure you have not been infected with malware. As the leader in WordPress security, we see more WordPress malware than anyone else. We see tens of millions of attacks every day, giving us unrivaled access to the latest threat information. We also clean hundreds of hacked websites every month, giving us visibility into the latest malware variants and exploits. Our team has a workflow where we collect malware samples in a repository for analysis. Then we test to see if our malware scanner already detects the variant. If it does then we move on. If not, then we create a new malware signature to detect the new malware variant. We run the signature through quality assurance to make sure it does not detect things it should not (known as ‘false positives’). Once the malware signature passes QA, we release it to our Premium customers immediately and then 30 days later our free customers receive the signature. That way we constantly release detection capability for new WordPress threats to our customers. Unlike many companies in our space, our analysts and developers are completely focused on WordPress. We don’t have to divide our time securing desktop systems, mobile devices or network hardware. Ensuring that publishers can securely run their websites using WordPress is all we do. Our scanner runs on your server, giving it access to your website’s source code. Malware detection rates for remote scanners are significantly worse than server based scans like ours. Remote scanners cannot access site source code. Ours does scan source code – and many malware variants hide in site source code. Our scanner was built from the ground up to protect WordPress. Our depth of knowledge, coupled with our singular focus on WordPress has allowed us to produce the best WordPress malware scanning capability in the industry. In addition to looking for known malware, the Wordfence scanner compares your site’s files against the official WordPress.org repository. Any files that have been changed or appear to be out of place are reported to you. This additional step makes it very difficult for attackers to avoid detection. We even give you the ability to revert changed files to the pristine version that is in the official WordPress repository when you detect a change. In fall of 2016 we added a break-through feature, integrating our malware scanning capabilities into the Wordfence firewall. As traffic passes through the firewall and before it hits your website it is inspected using our malware scanner, blocking any requests that include malicious code. This was a leap forward in detection capability. Many competitor products don’t have a firewall at all. And many don’t have a malware scanner. We provide both and instead of just a rule based firewall that blocks exploits, we actually detect and block malware payloads too with the scanning capability we integrated in 2016. Linking to spammy or malicious content can adversely impact your search engine rankings and reputation. For many sites, search traffic is a critical part of their marketing strategy. It is difficult to stay on top of the quality of your outbound links for several reasons. First, the content on pages you link to can change over time, so even if the content was fine when you published the link, it can end up hurting you down the road. Second, most active sites have more than one contributor, making it very difficult to stay on top of changes. And even if you have your posts and pages under control, malicious and spammy links can creep in via comments. Wordfence helps you weed out links that harm your reputation by scanning your pages, posts and comments for malicious content and known malicious URLs. We alert you in the scan results to these problems in a timely manner. That gives you the ability to go in and remove the links to malicious sites before Google notices them and penalizes your search rankings. Domain and IP blacklists are a powerful tool used by search engines, email providers and many others to keep their users safe. As a website owner, landing on a blacklist can have a lasting impact on your site traffic, SEO rankings and email delivery. And there a lot of ways to land on a blacklist, even if your site hasn’t been hacked. If your site is running on shared hosting with a shared IP address, for example, your site can be blacklisted based on your neighbor’s behavior. Wordfence Premium helps you protect your site’s reputation, alerting you quickly should your domain or IP be blacklisted. By reacting quickly you can minimize any adverse impact. The fix may be as simple as moving your site to another IP address or fixing content on your site that Google thinks is malicious. Fixing the issue quickly is key because this will avoid your site visitors seeing a browser warning and will avoid search engine penalties. Wordfence provides early detection which leads to early fixes. It’s much easier than you think to accidentally leave sensitive files lying around on your server. It only takes one misplaced configuration or backup file with the wrong permissions to arm an attacker with the information they need to compromise your site. Last year on this blog we wrote reported that 12.8% of sites scanned had at least one sensitive file visible to anyone on the internet. 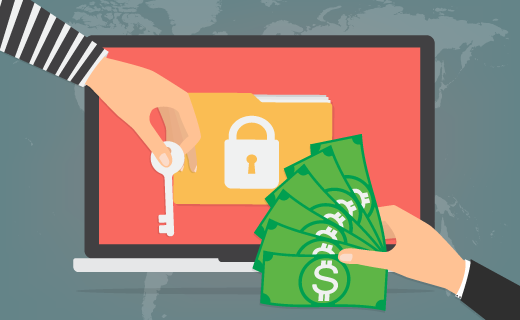 Running regular Wordfence scans protects you from this risk by alerting you quickly to any issues, locking down or removing sensitive files before they fall into the wrong hands. Last summer (2017) we added an important feature that alerts you when plugins have either been abandoned or removed from the WordPress.org plugin directory. We define an abandoned plugin as one that hasn’t been updated in over two years. While it is possible that the plugin author is still engaged at that point and available to react to any security issues that arise, it’s not likely the case. We generally recommend that site owners replace or remove abandoned plugins if possible. 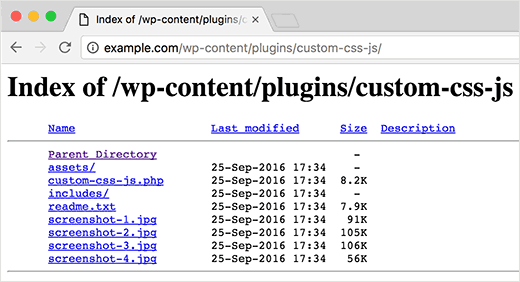 The WordPress.org team removes plugins for a variety of reasons. Unfortunately when they do so they rarely disclose why, and in many cases it is due to a security issue that hasn’t been addressed. If you’re unable to determine why a plugin was removed or you’ve confirmed that it was removed for security reasons you should remove it from your site. In cases where it was removed for non-security reasons, it may be okay to continue to run the plugin, but finding a well-maintained replacement is likely a better bet. The security of your website is only as strong as its weakest link. Every time you grant a user access to your site, especially administrators, you are relying on them to keep your site safe. Unfortunately not everyone uses strong passwords, putting your website at risk. Wordfence scan checks if any of your users are using very common passwords and performs an extended check on admin level accounts. A couple of years ago we published research showing that plugin vulnerabilities were the most common way attackers compromise WordPress websites. The third and fourth most common reasons were core and theme vulnerabilities. It goes without saying that staying on top of vulnerabilities in WordPress core, plugins and themes is critical. Every time the Wordfence scanner runs it checks to see if you are running software with known security vulnerabilities. It also warns you about any other updates that are needed, just in case the author quietly slipped in a security fix, which happens more often than it should. Our development team is always working on ways to make the scanner perform better. Over the last couple of years we delivered a number of innovative updates that improved performance and speed significantly. In Fall of 2016 we released a new version of the scanner that performed up to 18x faster than the previous version. In Summer of 2017 we introduced lightweight scanning and optimized scan timing across VPS instances. In a subsequent release that same summer we introduced short-circuit scan signatures, improving performance by up to 6x. The malware scanner relies on threat intelligence developed by our awesome team of security analysts in the form of malware signatures. Premium customers receive updates in real-time as they are developed (free sites receive updates 30 days later). Detecting the latest malware lets you react quickly to a compromised website. In addition, Wordfence Premium delivers real-time updates to firewall rules and enables the real-time IP blacklist. 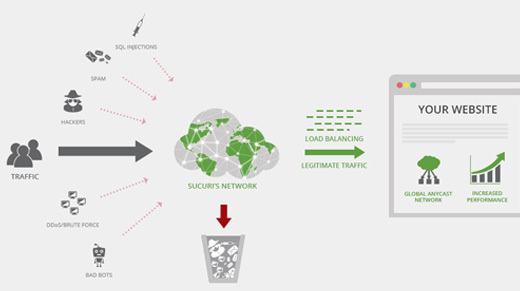 The Wordfence scanner is a critical component in a layered security strategy. Wordfence scan alerts you quickly to malware, blacklist issues, security vulnerabilities, important updates and other security issues. To take detection to the next level you can upgrade to Wordfence Premium and receive malware signature updates in real-time. As always we welcome your feedback in the comments below and we’ll be around to reply. Popular cloud storage firm Dropbox has been hacked, with over 68m users’ email addresses and passwords dumped on to the internet. Leading security experts recommend the use of a password manager to secure the scores of unique and complex passwords needed to properly secure the various login details needed for daily life. But recent attacks on companies includingbrowser maker Opera, which stores and syncs user passwords, and password manager OneLogin, have exposed the dangers of using the tool.